Scilla Campanulata is a flowering spring bulb that is completely new to me. When making last minute bulb orders this fall, I couldn’t resist it. For the most part, I was lured in by the lovely pastel blue and purple colors. This, in tandem with the fact that these tend to naturalize, made me want to give them a try even more! Apparently these late spring bloomers will produce multiple flowers per stem. To plant them, I simply followed the instructions as indicated on the package. I’m an really looking forward to seeing these bloom in the spring! Here’s what the bulbs actually look like. If you look closely, you can tell which way is facing up and down. I put these bulbs mixed in my flower bed with muscari, dwarf iris, crocus, and other various small mixed flowers. 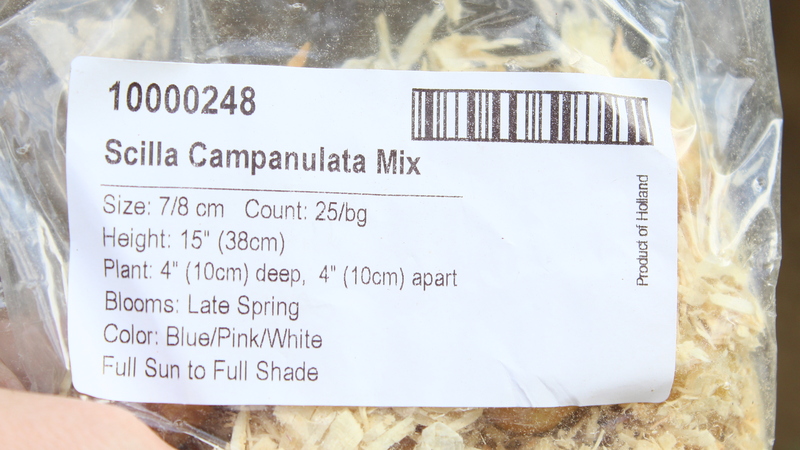 Have you ever grown scilla campanulata before? I would love to hear all about it in the comments below! I hope you’re having a wonderful day!